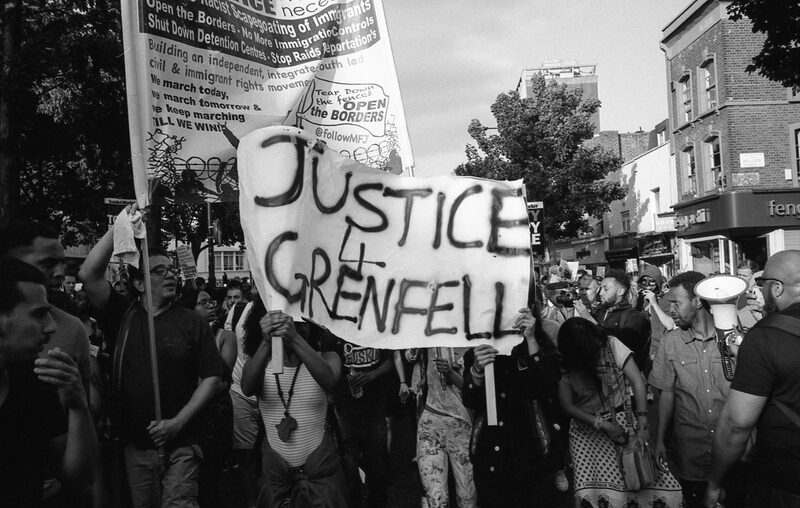 Justice 4 Grenfell is deeply concerned about the government’s proposed ‘pathway to settlement’ for undocumented survivors of the horrific fire at Grenfell Tower. This immigration deal offers no certainty, safety or security for traumatised survivors. The Prime Minister has gone back on her promise to Grenfell survivors. In the immediate aftermath of the fire, Prime Minister Theresa May promised a full amnesty to undocumented individuals. Rather than giving them a guaranteed period of five years, this policy in fact provides for two possible extension periods of two years each. This kind of uncertainty will not allow survivors to rebuild their lives, and may impact their confidence in taking part effectively in the Public Inquiry. In order to access these extensions, traumatised survivors will need to apply, taking part in extensive, rigorous checks, providing details about their personal and financial life, and telling and retelling their stories over and over again. Only at the end of this, if successful, will they be able to apply for permanent residence if they wish. We are also concerned that the Home Office policy for families bereaved by the fire simply does not go far enough. Relatives have been given a six-month visas, yet in many cases it has taken four months for remains to be released and funerals to take place. 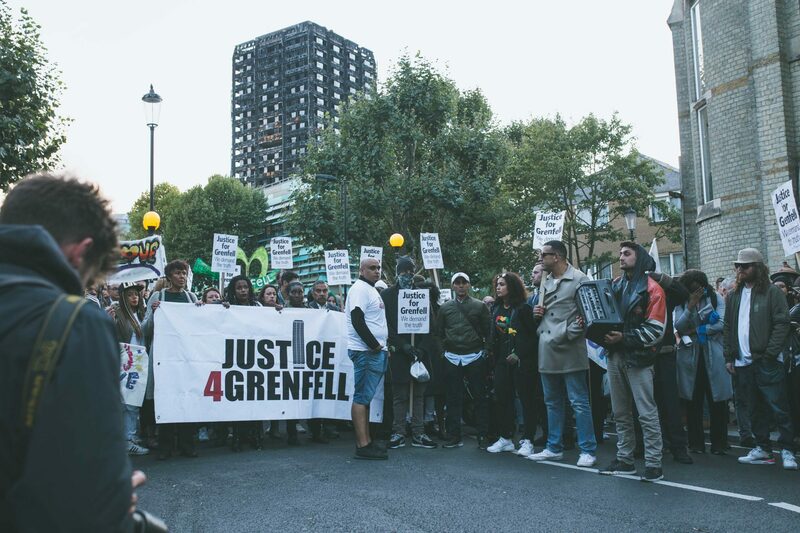 Those who came here immediately after the fire will need to return in the next 8 weeks, before any substantive hearings at Inquests or the Public Inquiry and before any completion of the police investigation and criminal proceedings. This piecemeal and underhand policy does not encourage undocumented survivors to confidently come forward, and if survivors do not come forward then justice cannot be served. We repeat our call for a full and comprehensive amnesty to allow survivors to take part in the inquiry or for their family members to support them. ‘Nothing has changed. We need a full amnesty for adults and their children. They should not be penalized any further. This policy still means that people who’ve been traumatised will live in fear throughout that period that if they fail an ‘unknown’ criteria they will be sent back to their country of origin. We’re not talking about vast numbers of people. 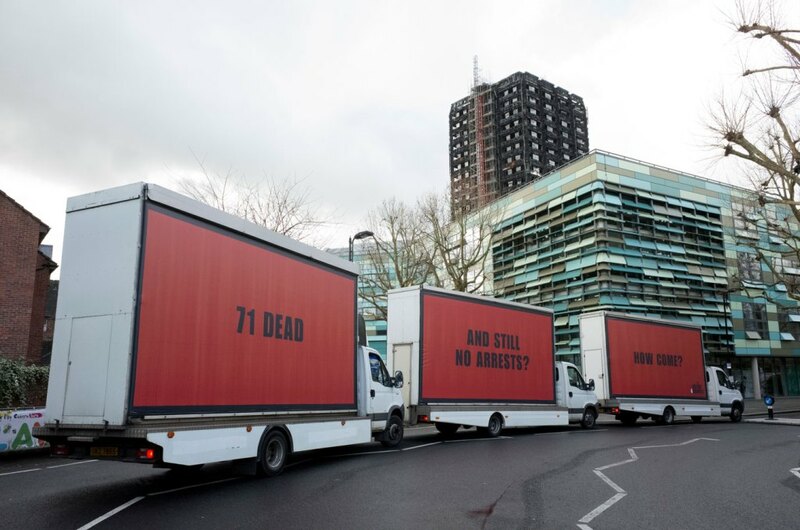 It’s a myth that there were huge numbers of undocumented people living in Grenfell Tower. The Home Office should not aim for headlines that lure traumatised people to hand themselves over to immigration services. They haven’t explained the hurdles people will have to jump through, or the criteria for rigorous security and criminality checks. People will be afraid to come forward. What if they get a driving ticket? They have to meet fraud checks, but what if they’ve got into the country illegally in the first place? The least the government could do is to offer these people some stability for the future and treat them with some dignity and humanity. The deal for relatives is six months’ guaranteed residence. It’s taken four months to release some of the remains for burial. What will the arrangements be for these families? How will they be able to support their bereaved relatives through the process? We wouldn’t encourage anyone to present themselves on the basis of what was offered yesterday. Given the information published in the Prime Minister’s Race Disparity Audit earlier this week, you can understand our reservations. If the government wants to understand why these disparities happen, they should look at this as an example of how their policies and legislation adversely impact communities that look like the community who lived in and around Grenfell Tower.